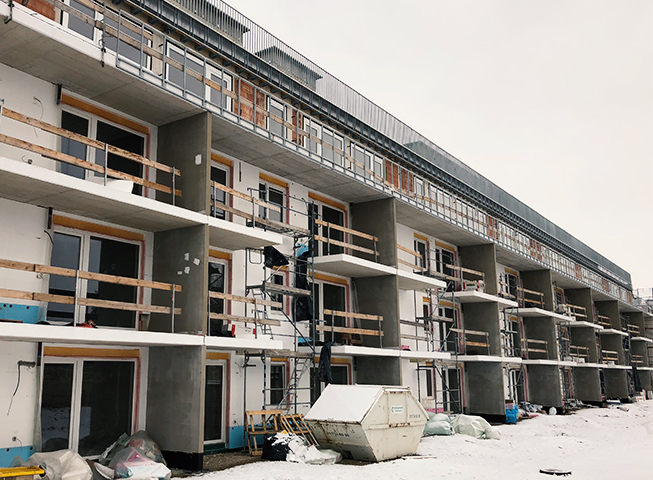 The construction work on all three construction sites is progressing rapidly. 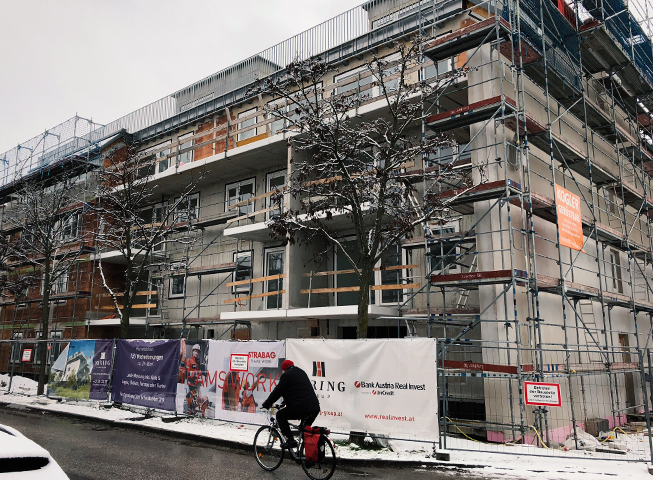 The construction work has been completed at site 2 and the apartments were handed over to the owners. 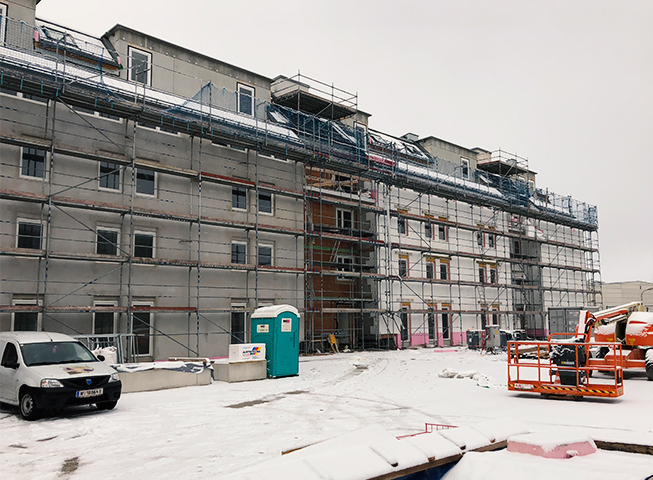 At construction site 1, the structural work is finished, the roofing work is completed and the interior work as well as the work on the exterior facade is in full swing. 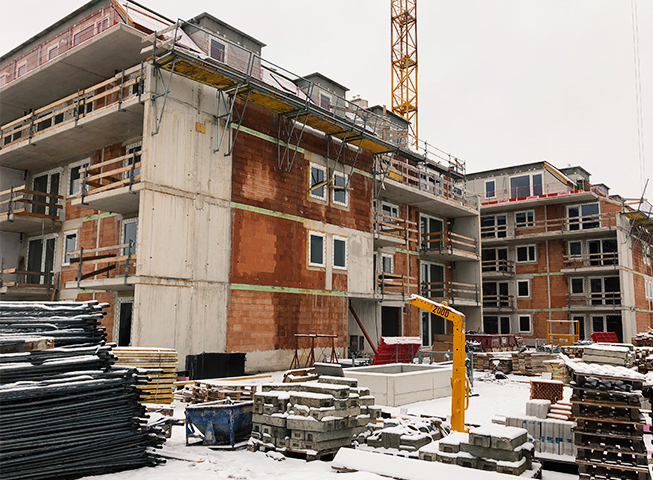 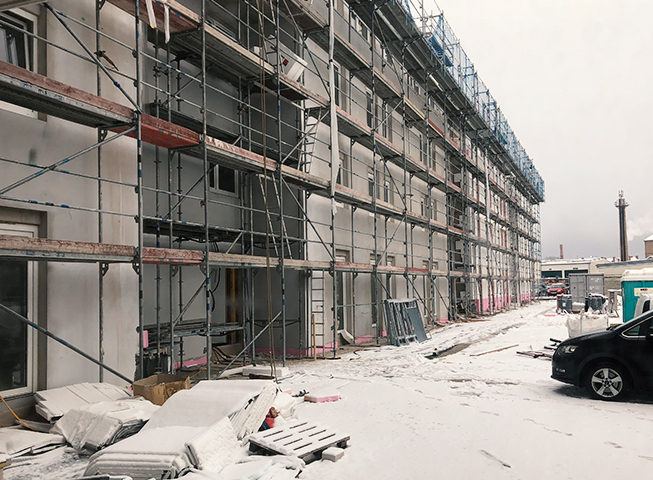 At the back building of the construction site 3, the structural work is completed, the carpentry work on the roof is running at full speed and the interior work has already begun.